And here is a piece of nature's magical beauty! And here is a piece of nature’s magical beauty! 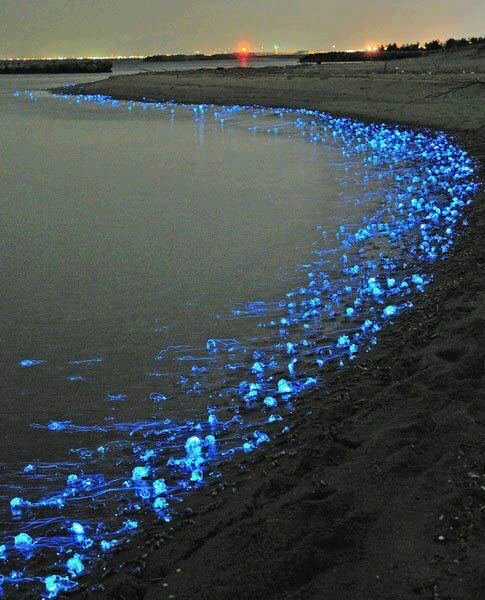 The blue lights on the sea coast are the glowing firefly squid of Toyama, Japan. Each tentacle has an organ called a photophore, which produces light. When flashed, these lights attract small fish, on which the squid can then feed. « I should buy a boat!